The end of Autumn is near. Flowers have withered, crops were harvested, and wood stove smoke fills the frosty air. 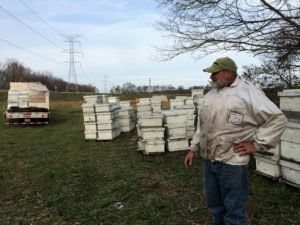 Hunter’s Honey Farm is turning the page to a new chapter. We have had to say goodbye to Lanny, our amazing head beekeeper of twenty plus years, and opened our arms to welcome Tony and Sarah. Together they will be working on a new plan to combat mites and colony death. In order for that to happen we have decided to try something completely different. 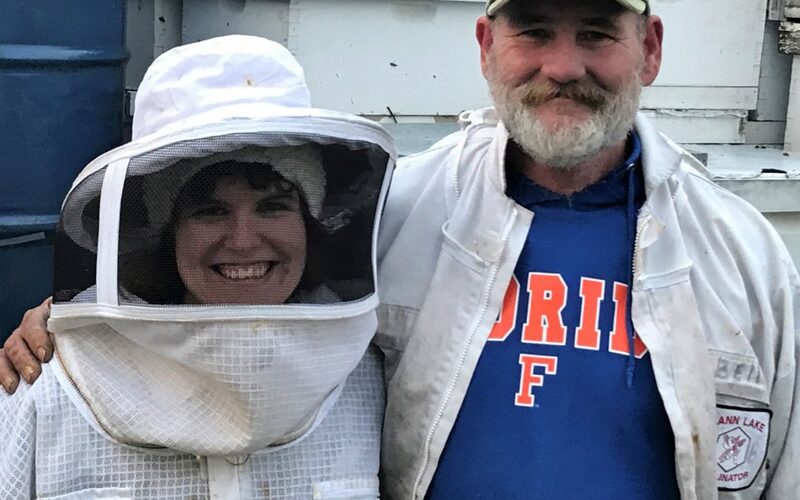 Our beekeepers loaded all of our bees up for their very first road trip to Florida where Tony will stay, working to split hives in order to increase our honey bee population. When the temperature warms again in the Spring Tony and the bees will return. They will be transported to their respective yards where they will begin pollinating and gathering nectar to make honey. We are very excited to see what 2018 has in store for us and we will be sure to keep you posted. For now, have a Merry Christmas and Happy New Year with family and friends.